Did you know that a quarter of daily searches on Google are made up of entirely new Keywords? Keywords are very important in Internet marketing because it allows marketers to know what people want. As we all know, that kind of information is worth a lot to marketers! Even off-line marketers benefit from knowing what people search on the Internet because it provides an insight into consumer desires and wants. 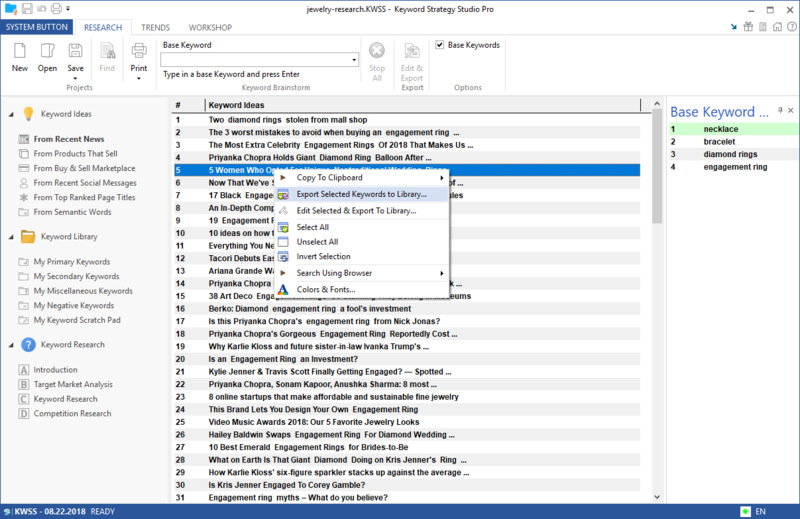 Keyword Strategy Studio works by obtaining a large number of ideas based on the base keyword phrase you enter.